"For the first time, we have inserted tiny compartments from cyanobacteria – commonly known as blue-green algae – into crop plants that form part of a system that could lead to a 60 per cent increase in plant growth and yield," said Dr Ben Long from the ANU Research School of Biology whose work has been funded by the international Realizing Increased Photosynthetic Efficiency (RIPE) consortium. 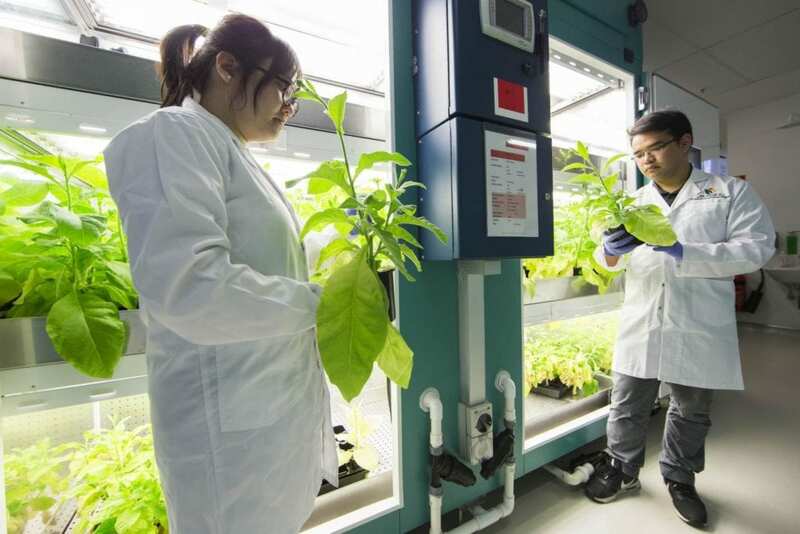 "We are trying to insert a turbo-charged carbon-capturing engine into plants, by mimicking a solution that cyanobacteria – the ancestors of modern plant chloroplasts, the green compartments where plants make their own food – found millions of years ago." Descriptions for each image are available in the file information. Please credit ANU.